Little Women lobby card 1949. Host of Stars! 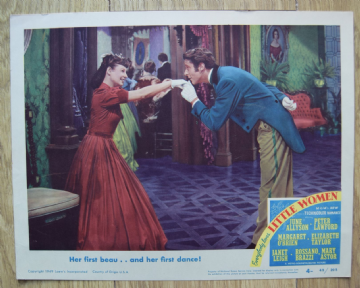 Little Women (MGM,1949) US Lobby Card #4. 11" x 14"
Drama starring June Allyson, Peter Lawford, Janet Leigh, Margaret O'Brien, Mary Astor & Elizabeth Taylor.